Warehouse fires are very aggressive: spread quickly and can cause a great deal of damage in a short period of time. This is especially true when it comes to fire commodities such as flammable liquids, paper, and plastic materials at risk. Rack is designed in fire sprinkler systems designed to protect storage areas in warehouses. Rack sprinkler systems are specifically designed for the protection of racked storage areas, in-rack sprinkler systems are manufactured to continuously monitor for smoke and release water into a targeted area to maximize damage and downtime for the facility. Detectors are placed within close proximity to stored materials and equipment for the quickest possible response in the event of a fire. This is perfect for facilities that use large industrial shelving because it ensures that fires that begin in the middle of the rack can be extinguished before consuming surrounding materials on adjacent shelves or racks. Although rack sprinkler systems cannot prevent fires, they can contain the fire to a specific area and extinguish it within a short period of time. The sprinklers are installed along a network of piping secured within the rack storage structure for adequate protection throughout the entire storage area. These types of fire suppression systems are utilized extensively in rack structures that are automated and use mechanized picking equipment controlled by a computer for loading and unloading material. Mezzanines are an increasingly trending floor solution for businesses looking to expand their current levels of usable floor space. 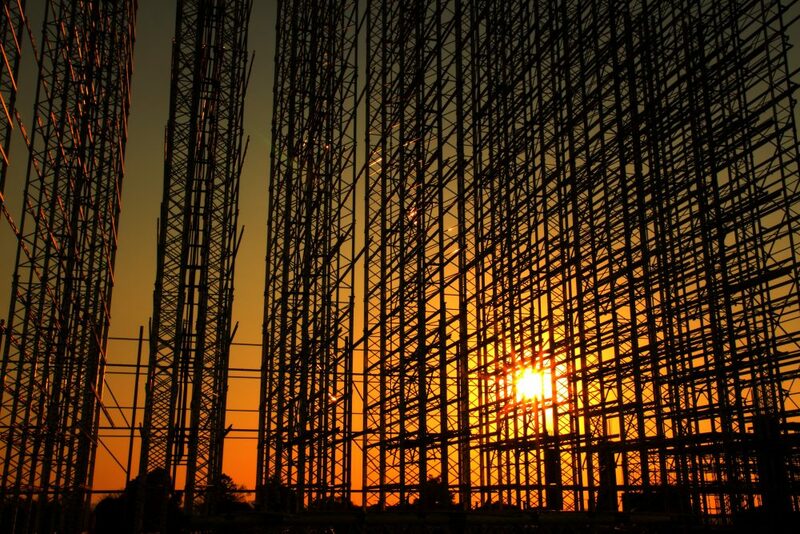 More warehouses and distribution centers are realizing the benefits of in-plant mezzanines than ever before, and their use has become more eminent across a number of industries. The most common and obvious benefit of having a mezzanine installed is the increase of usable floor space. Unlike more permanent renovations, mezzanines allow you to easily add on a substantial amount of extra usable floor space for storage, work room or whatever else your requirement. It’s a perfect way to prevent having to spend time or money moving into a new facility or renovating or relocating your current installations. Also, mezzanines allow you to add more space without greatly affecting your budget. Increasing floor space can allow you to store more items, install more equipment, and even have room for additional workers, without having to move facilities. Mezzanines can also help with heating and utility bills: installations on the upper floor don’t need to be heated like the rest of the plant due to warm air rising through the plant, so moving more temperature-sensitive installations to the top floor of the plant can reduce the amount of heat your warehouse has to pump out. One of the more ‘intangible’ benefits of mezzanine shelving is probably one of the most advantageous to business owners. The increase of floor space and the extra work room it provides can help your workers get things done easily and more quickly than before. Uncluttered shop floors can help prevent traffic jams and accidents, and with the additional space, you won’t have constraints. Many commercial and industrial enterprises use a warehouse as a central operations and distribution point. Effective warehouse space planning is crucial to ensure smooth work-flow, as well as saving on costs and boosting productivity. At Universal Storage Systems, we help clients with all their shelving needs to optimize their warehousing facilities. 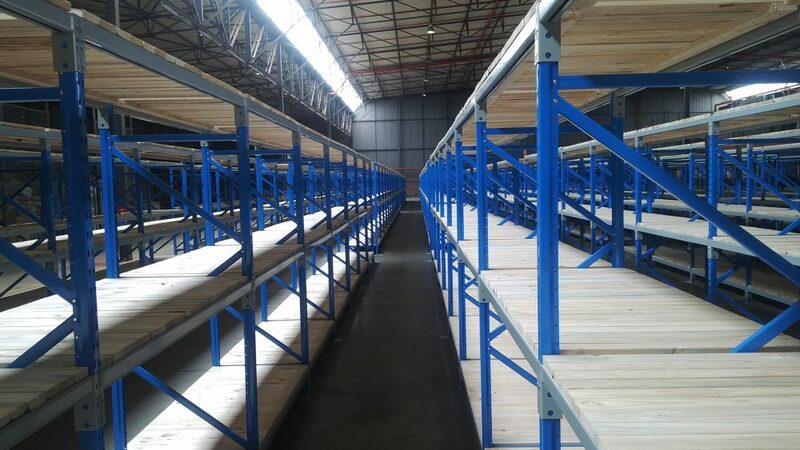 We help our customers choose the types of shelving and racking that best suit the needs of their warehouse operations. There is a wide variety of heavy and light duty shelving available, which can be purchased new or second hand. Common types include rivet, wire and steel shelving. Pallet racking also comes in a range of sizes and systems. Shelving and racking form the skeleton of a warehouse and are at the core of its organization. 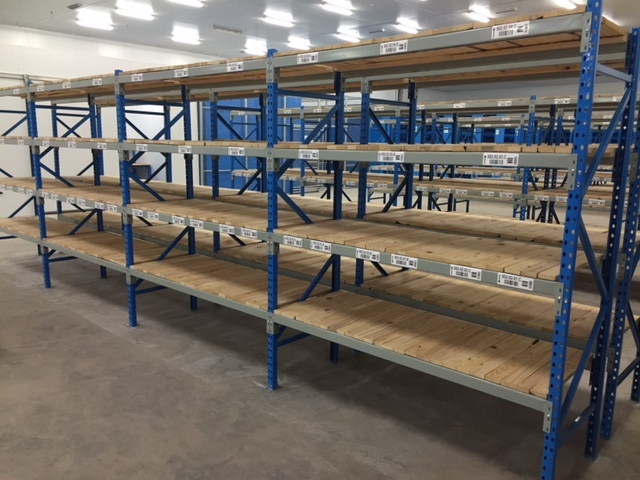 We can extend shelving and racking systems vertically to use as as much of the available vertical space as possible, thereby freeing up floor space. Racks can be built into an overhead tunnel or over-dock formations. Also, mezzanine levels can be built in the warehouse: although these can be expensive, and do reduce the flexibility of the workspace. All inventory has to be carefully labeled, and at Universal Storage Systems, we also label shelves and racks, and similar stock grouped for ease of access. Regular checks should be performed, and outdated or very slow-moving stock cleared or moved out of the warehouse.